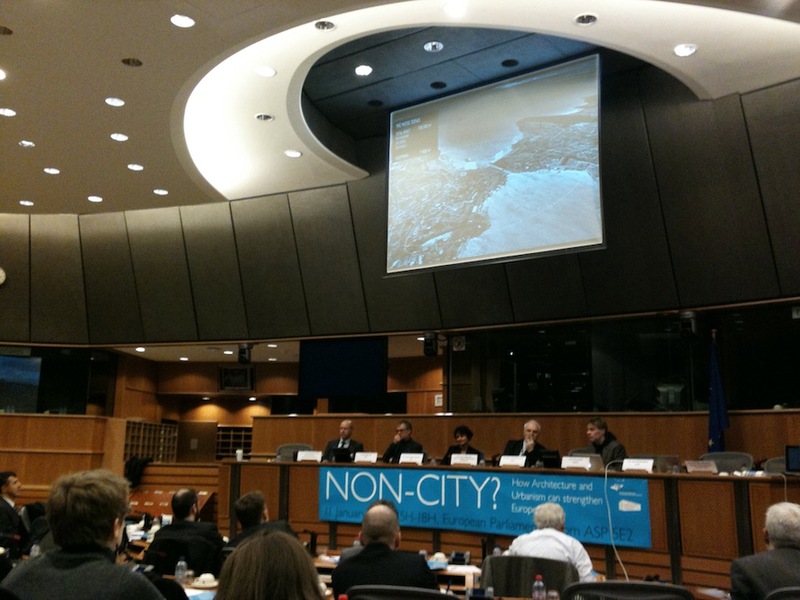 On January 11th Winy Maas spoke at the “Non-City”*... Next City? conference at the European Parliament on “How architecture and urbanism can strengthen Europe?". The conference was organised by the EFAP (European Forum for Architectural Policies) with the Urban Intergroup of the parliament and was a follow-up on the "Non-City" conference, which took place last year at the European Pairlament. The invited speakers included: Prof. Winy Maas, Mr. Jaap Wiedenhoff (ARUP) and Frédérique Monjanel (VINCI). An inspiring discussion between the speakers, experts from European Economic Social Committee, European Investment Bank, METREX, members of the Parliament, European Commission and representatives of the member States was chaired by Jan Olbrycht – the President of the Urban Intergroup. For the first time, the directors of architecture of the European member states were invited to discuss how architectural policies can take a more active part in the development and the implementation of the European Union set out in the EU 2020 Strategy, especially on European Urban Agenda. Or even to elaborate on a European Urban Policy. 2008 encouraged a greater attention for architectural and urban diversity and a more flexible city planning. The challenge is to create space for new unconventional approaches, to allow imagination, innovation, creation and non-dogmatic practice. Good architecture and good cities obviously can lead to better living environments, with more value and attraction. However, it would seem that we witness a greater trivialization instead of diversity and spatial quality in urbanized areas. Heritage, the high quality of architecture and landscape architecture, the talented designers, the green awareness, the desire for fashion and innovation. How to strengthen that? The social, demographic, ecological and economic challenges of our present-day society call for a new élan, new visions. What kind of architectural and urban projects can do that? How to support it? If so, what criteria do we need to develop? What organization can do that? And how to do it in a way that attracts the attention of all Europeans, if not outsiders? way. To experiment, untied by suffocating regulations. To design unexpected scenarios.